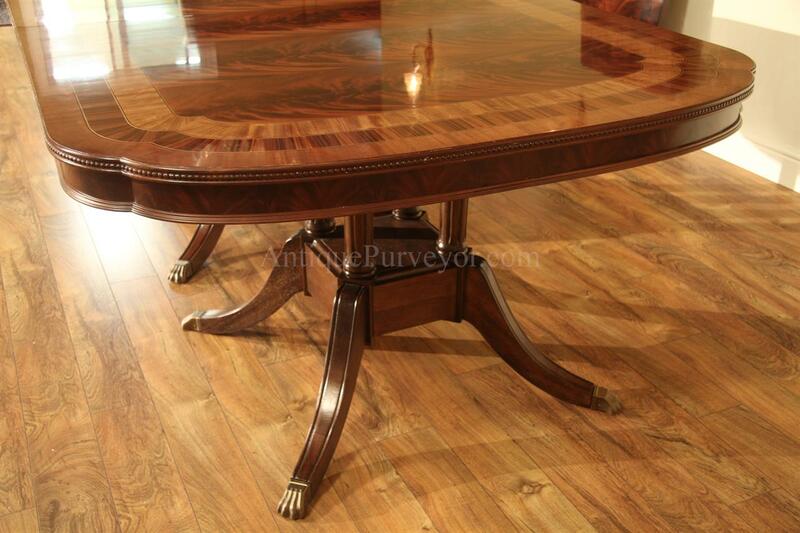 Description: Custom designed American finished wide banquet table with three extensions. 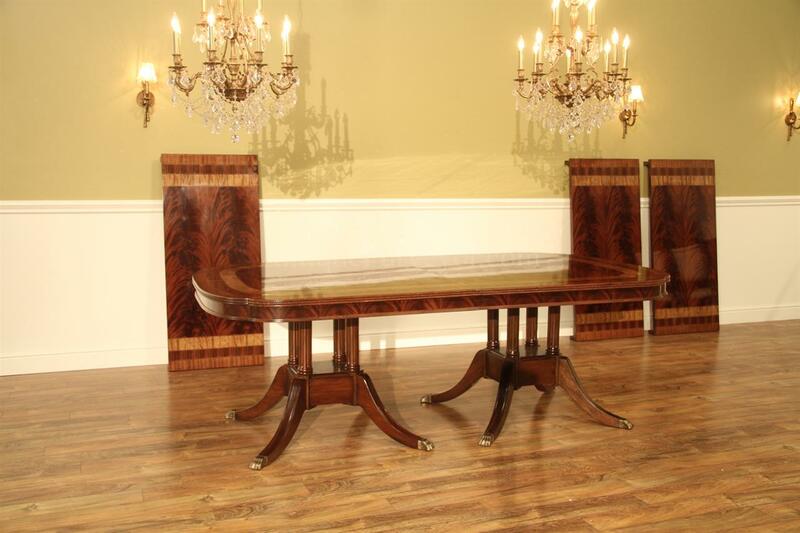 This table can be opened to 13 feet and seats16 people. 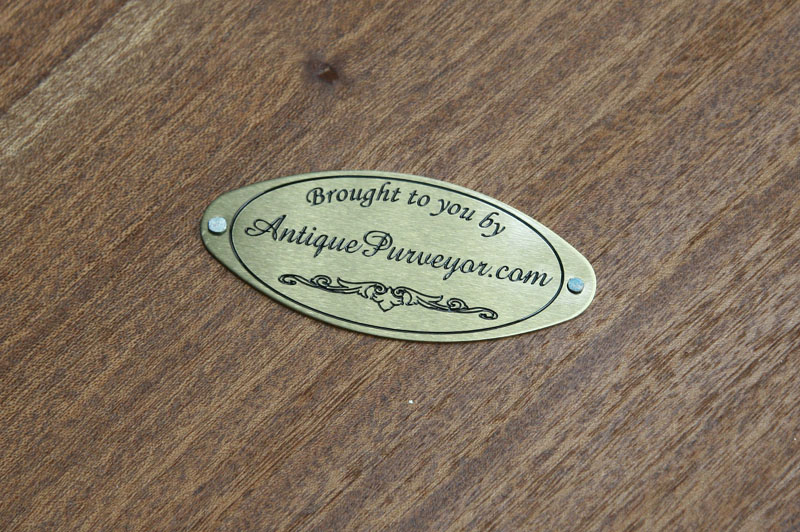 You can use the table with none, one, two or all three leaves. 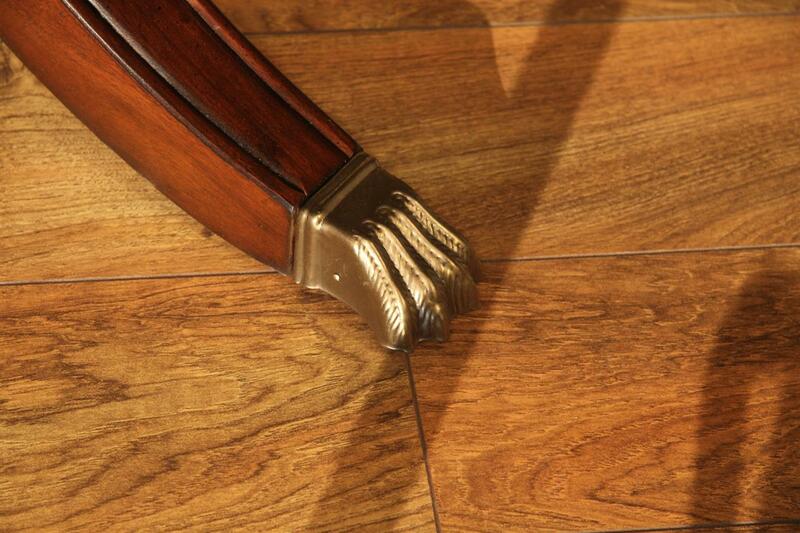 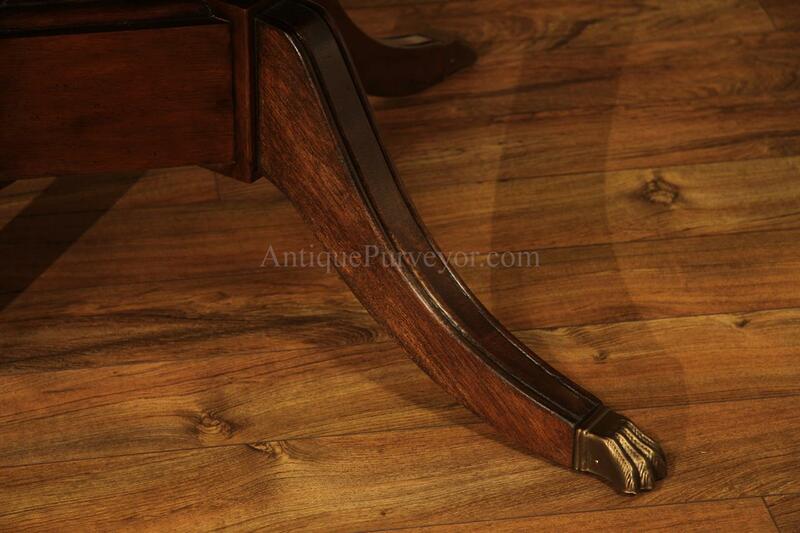 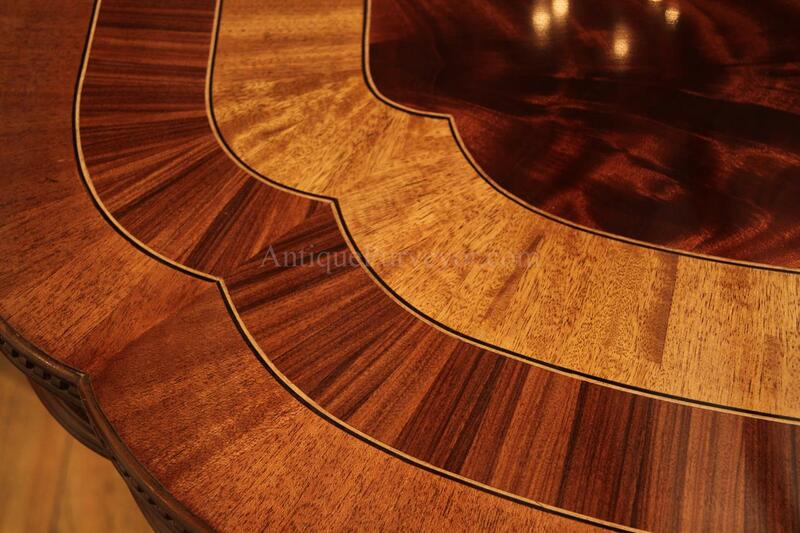 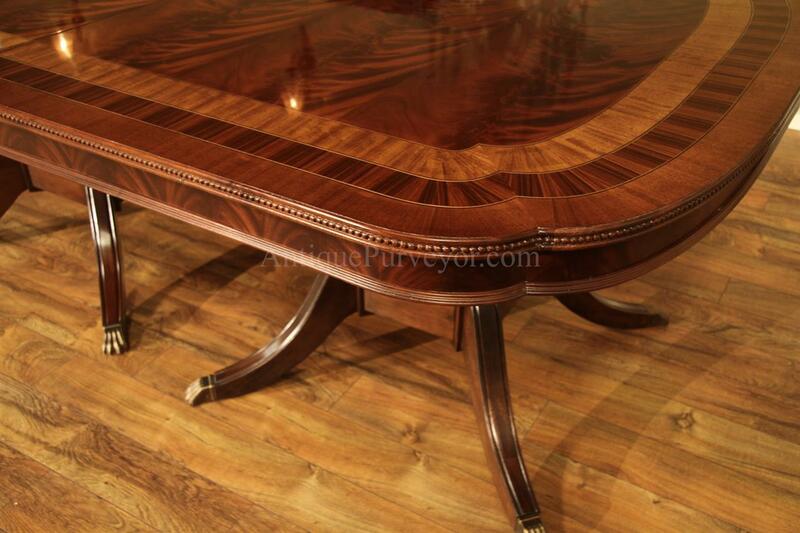 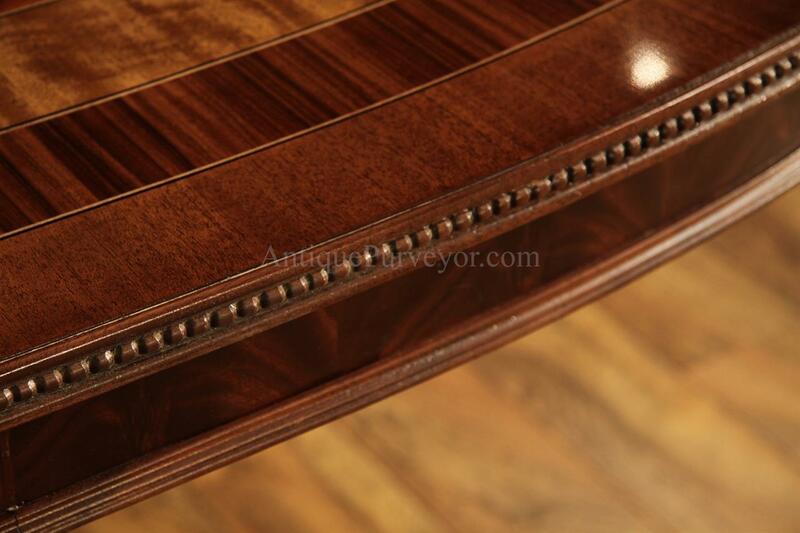 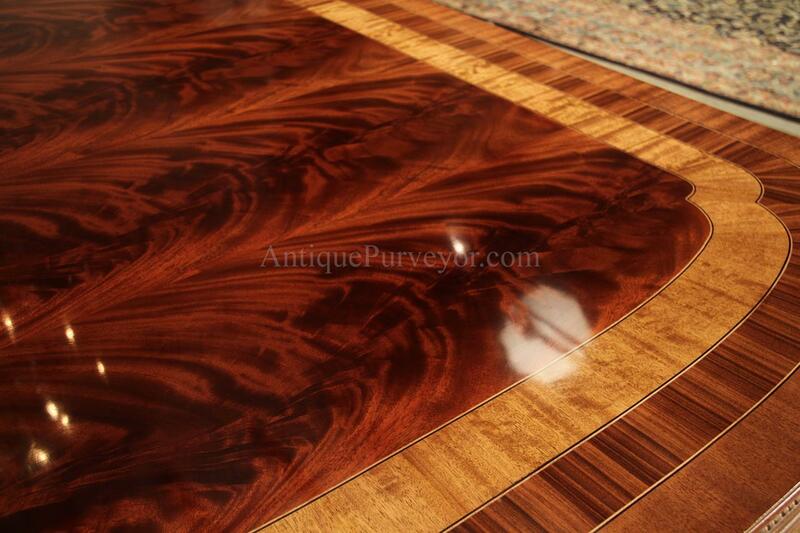 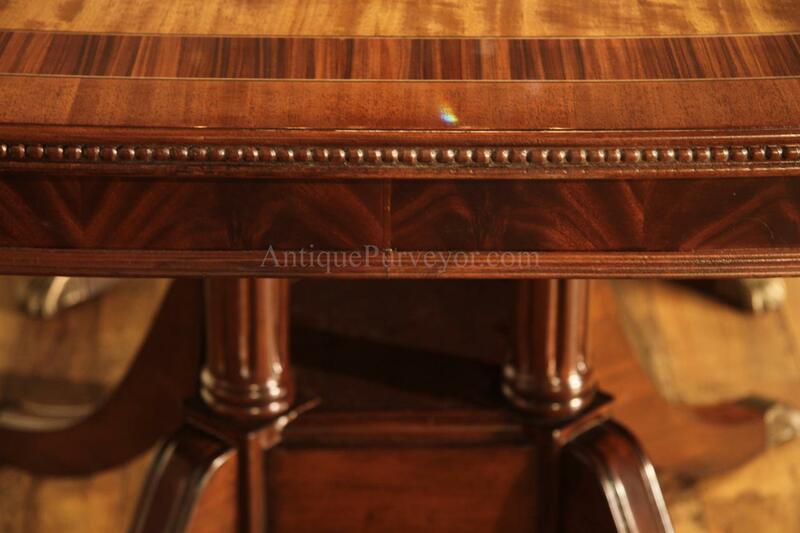 It is a wide table multibanded with rosewood, straight grain mahogany and satinwood. 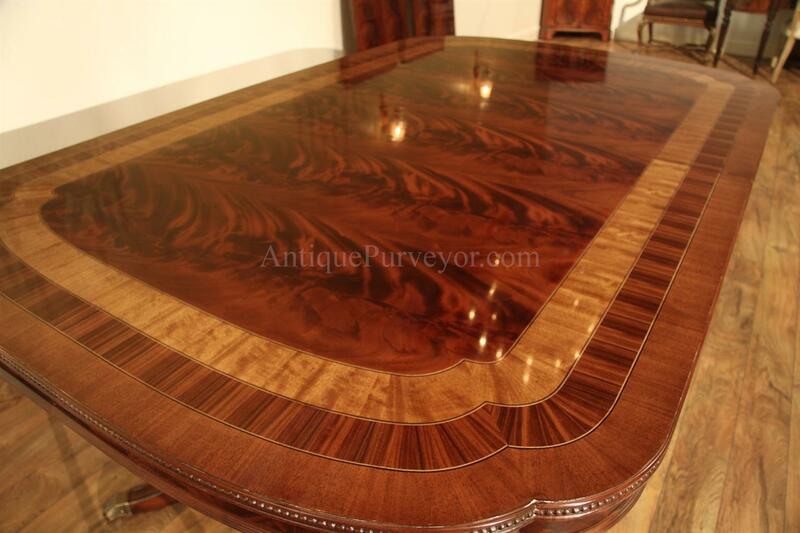 Table has a spectacular flame mahogany field. 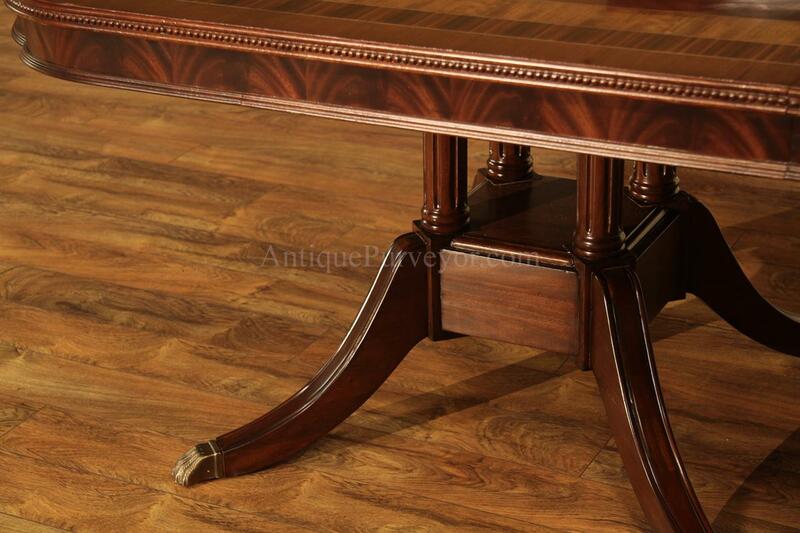 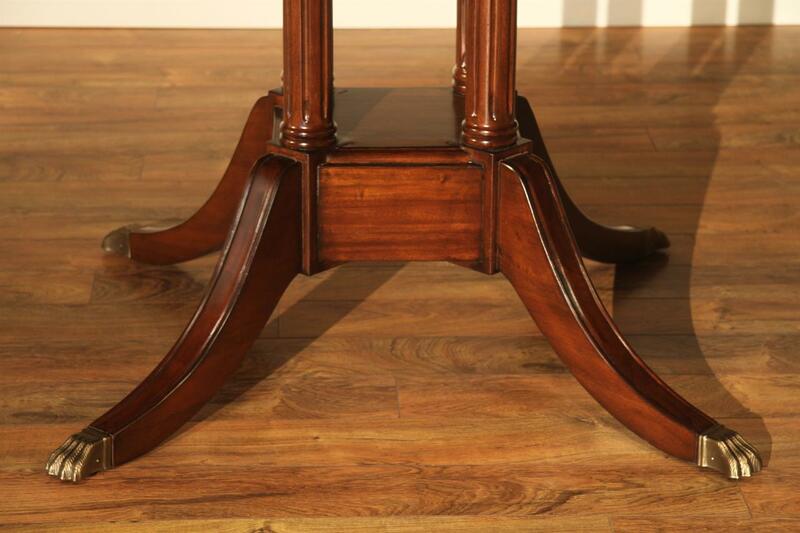 This double pedestal mahogany dining table sits on sturdy birdcage style pedestals. 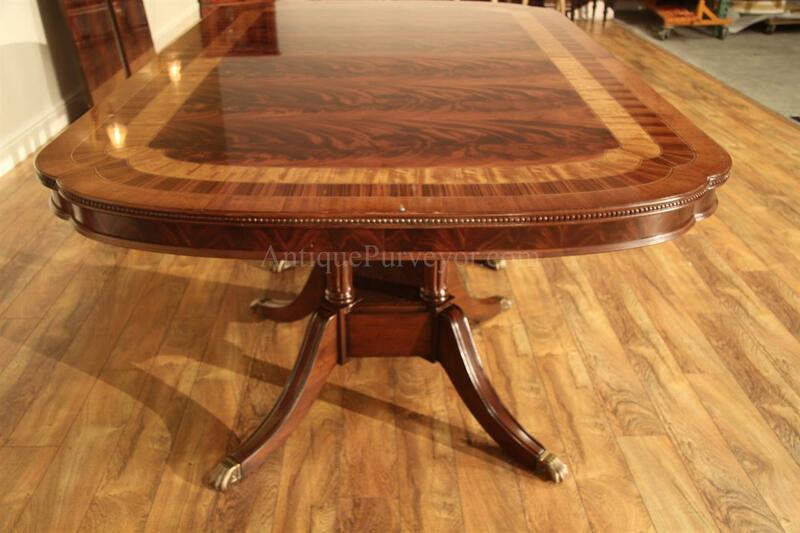 The table has a flame mahogany apron and small round bead-like carvings around the table's edge. 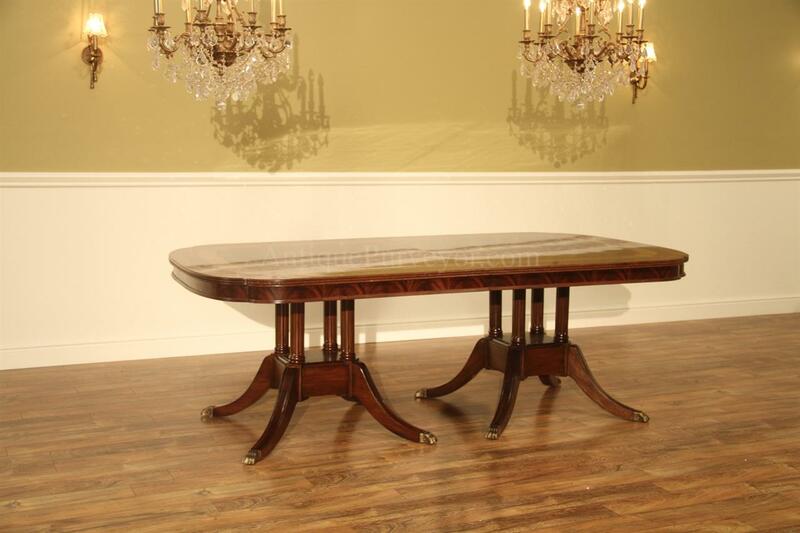 This table was desiogned for today's larger dining rooms. 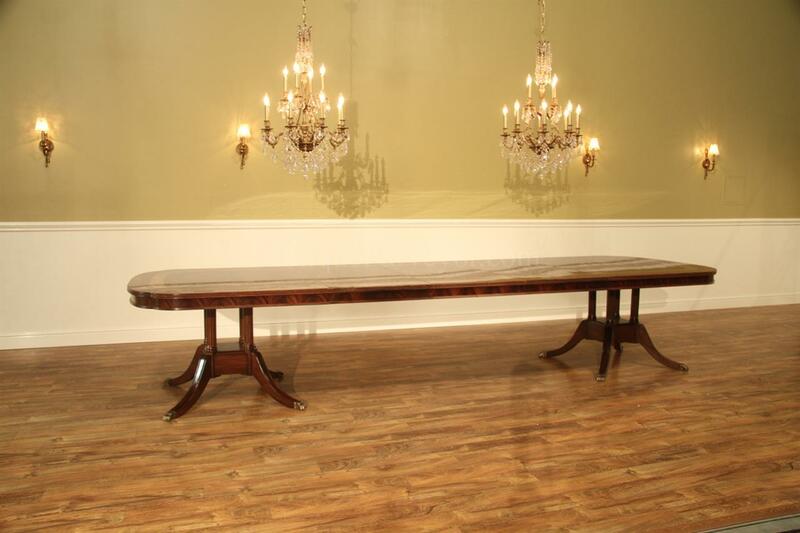 This table is 54 inches wide and it is a big table. 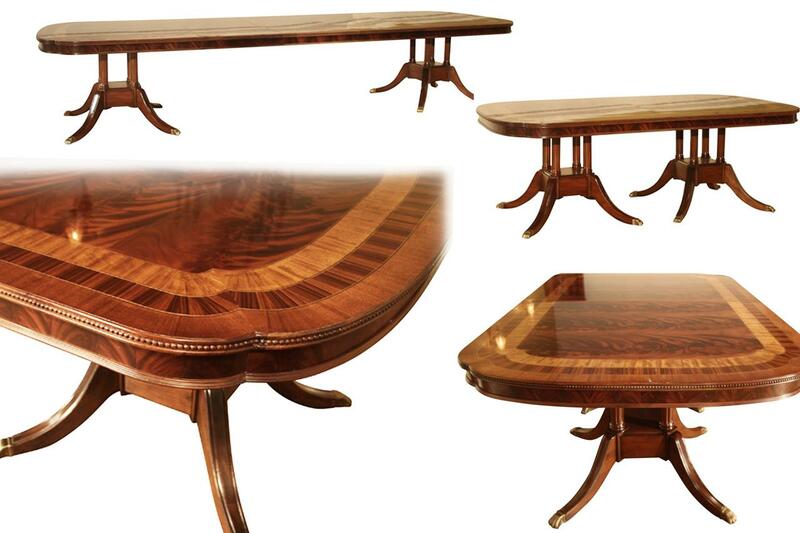 The intricate embelishments around the table's edge makes the table less masculine and offers the end user a unique formal design for such a wide mammoth table. 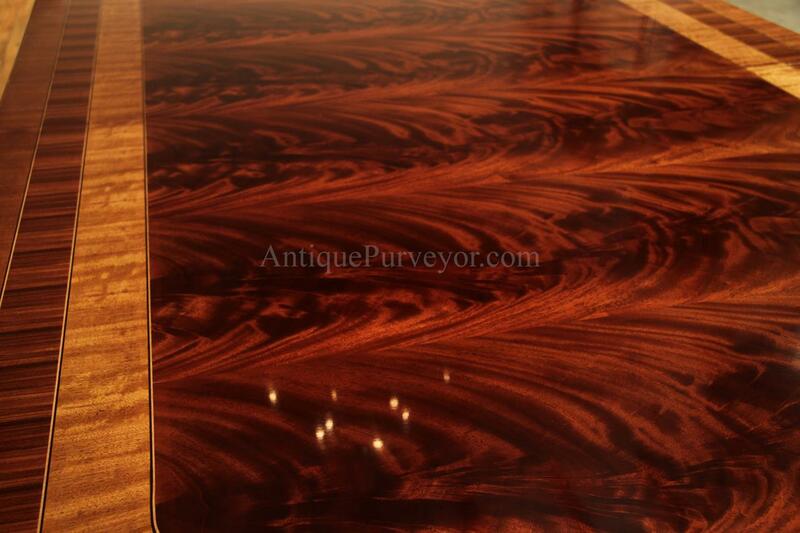 Table has a razor thin (less than 5mil) lacquer system which is comprised of a tradiotnal nitrocelluose lacquer and sealers.